Back row: unknown, unknown, J Montgomery, unknown, S Bennion, F Harris, F Brett, G Schofield. 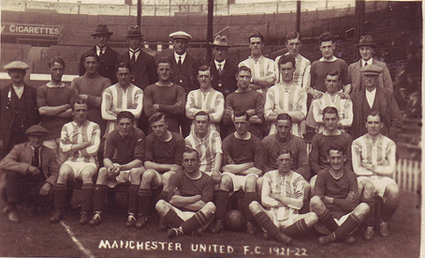 Middle row: J Pullen (Trainer), A Lochhead, A Steward, C Radford, J Grimwood, C Barlow, J Robinson, G Haslam, G Bissett, unknown. Front row: P Schofield, W Harrison, J Silcock, J Spence, G Sapsford, J Scott, J Mew, C Hilditch, W Goodwin. Sitting: R Gibson, E Partridge and J Myerscough. 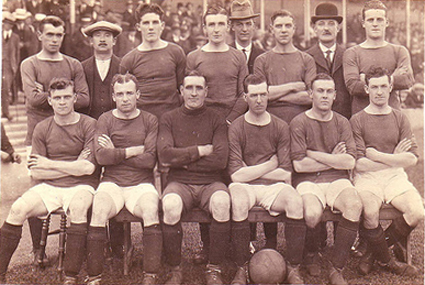 Back row: G Bissett, J Pullen (Trainer), F Brett, F Harris, unknown, J Silcock, J Robson (Manager), J Grimnwood; Front row: J Spence, W Harrison, J Mew, J Scott, G Sapsford and J Robinson.